If you know anything about digital marketing, you know that content is king. It’s the stuff that exposes people to your brand and helps them understand the products or services you have to offer. More importantly, content marketing is the stuff that determines what a person feels (or doesn’t feel) when they see, hear, or think about your brand. In this way, it provides the opportunity to elevate your product or service beyond just another cookie-cutter commodity. When done well, content marketing causes a personal and emotional connection with a person which compels them to continually engage with your brand. Unfortunately, there really is no magic answer to what forms of content marketing your business should focus on. It depends on your audience, your goals, and honestly a lot of trial and error to determine what works for your brand. Let’s look at a handful of different content marketing examples that our marketing team found compelling. 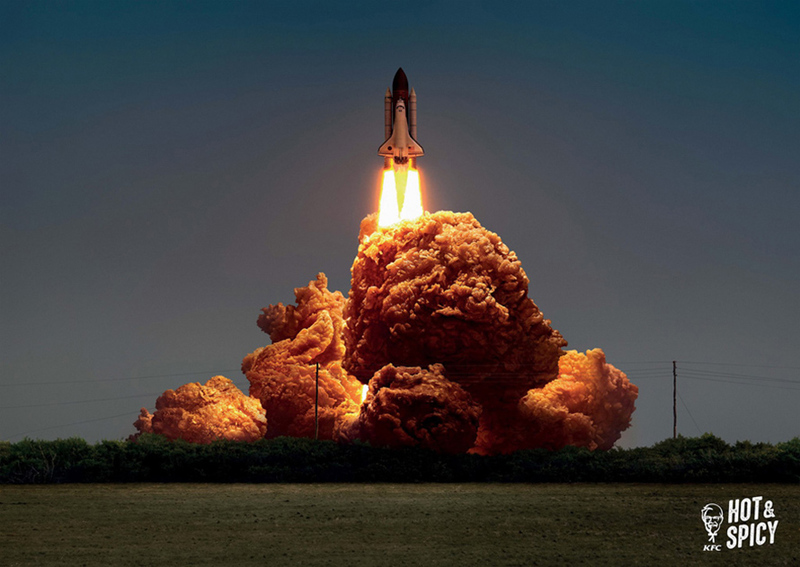 Here’s a perfect example of how to elevate a commodity to new heights. 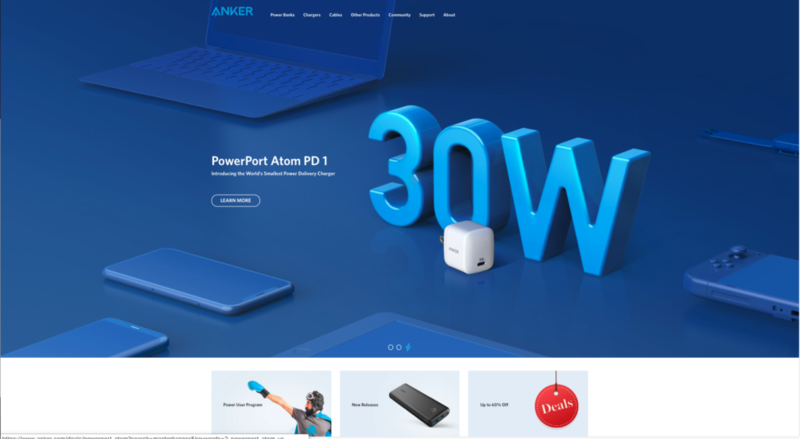 Anker, a seller of cell phone chargers and other accessories accomplished this challenging task by creating a warm and inviting website with clean design, crisp vibrant product pictures, and even 3-D graphics. All of this aligns with what someone would expect from a company in the tech industry and ensures customers that Anker is a safe and modern choice. 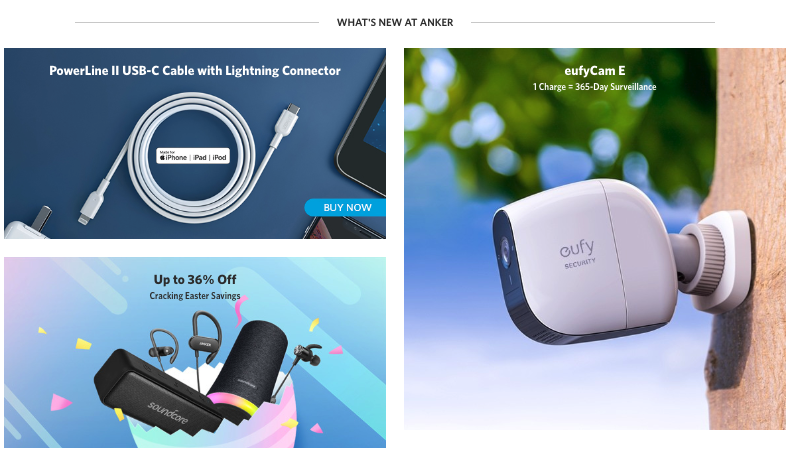 Browse the Anker website and experience it for yourself. In case you didn’t know, Instagram isn’t just for photos anymore. Videos can (and should) be utilized to increase engagement time and share your brand’s personality more thoroughly. 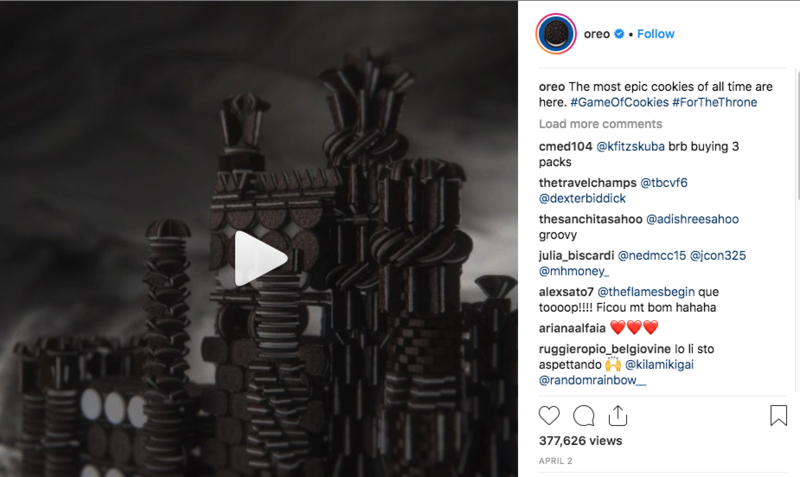 Oreo is doing this exceptionally well with their short animated videos that all contain their iconic cookie in a fun and unique way. They also do a great job of creating timely posts relative to current trends and pop culture happenings. 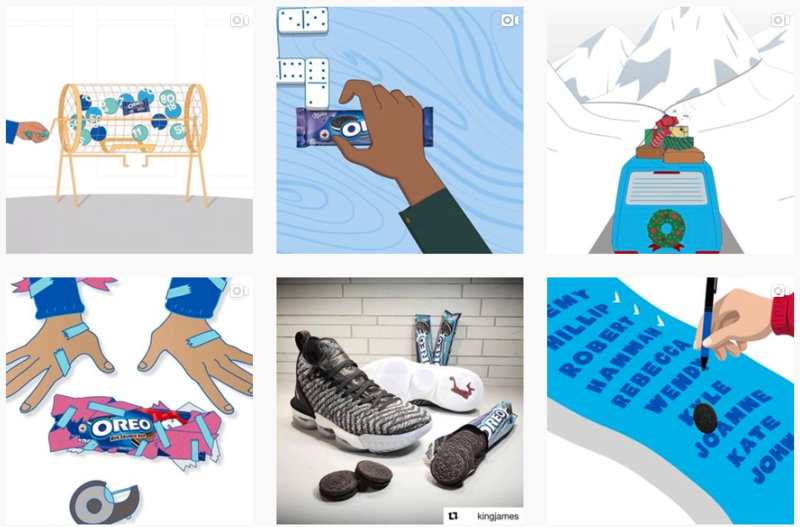 Dunk yourself in the Oreo Instagram account and see for yourself. This exceptionally shot video utilizes super slow motion cameras to spotlight the insane durability of the company’s business cards. Not only is the videography engaging, but the audio overlay also adds a layer of excitement and emotion to the video. It’s a unique way to showcase the benefits of a product without having to use any words. By the way, our friends at Leverage Digital Imaging know quite a bit about printing business cards on unique materials like plastic and waterproof paper. With bright colors and photos, appealing S-style design layout, clear call-to-action buttons, and even a fun GIF, this spring-themed email from Yeti checks all the boxes for a great content marketing example. Another noteworthy piece of this is the fact that Yeti played on the power of exclusivity by sharing their new product line with email subscribers only before they announce it elsewhere. To see the full email and enjoy the fun GIF, click here. Content marketing has exploded online, but don’t forget about good old print ads. Depending on your customer personas and goals, print ads and direct mail pieces continue to be highly-effective marketing channels. 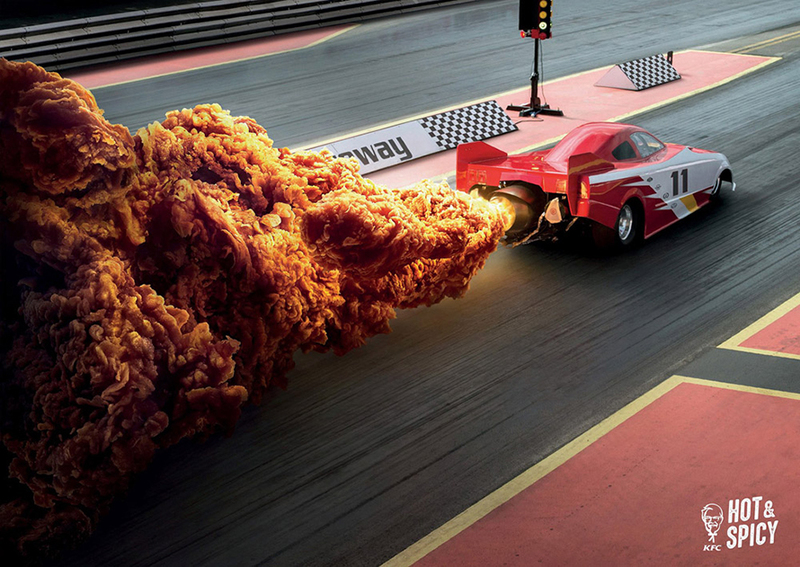 This creative marketing idea from KFC is a graphic designer’s dream – no big headlines or supporting copy needed. Just like the business card video, the uniqueness of the product becomes clear in a fun and nearly effortless manner. Starting to get some ideas for your content marketing plan? Don’t stop now! We’re an expert team of marketers chock-full of fresh creative ideas. Leverage us today to get started on something great together.